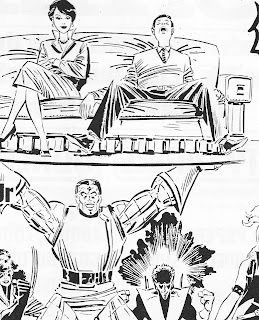 Here's a unique piece of X-MEN art which, nevertheless, will be familiar to long-time Marvel UK readers - and devotees of early-morning British breakfast TV. 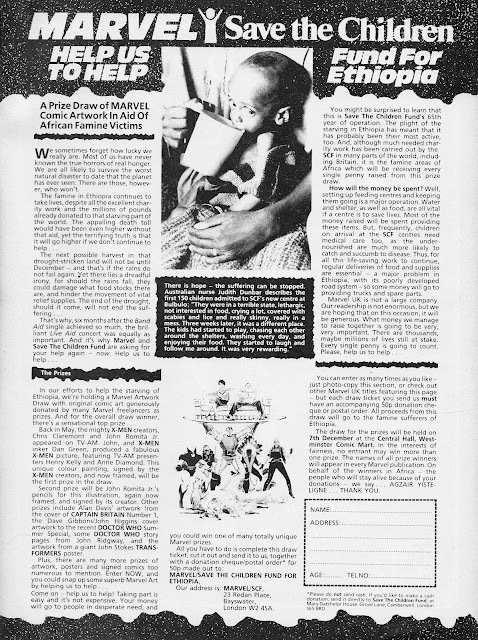 In May 1985, Marvel New York despatched Chris Claremont, John Romita Jr. and Dan Green on a European tour, officially to promote their X-Men title but really as a company-bankrolled reward for making it a bestseller. The UK was one of the stops on the tour and they made a live promotional appearance on GOOD MORNING BRITAIN, ITV's national breakfast programme from TV-am's Camden Lock studios. As part of the appearance, the art duo created this piece featuring TV-am presenters-of-the-day Anne Diamond and Henry Kelly. After the programme, the artwork was included in Marvel UK's Prize Draw to help Ethiopia. Two versions of the art were included: the fully painted final version (framed!) 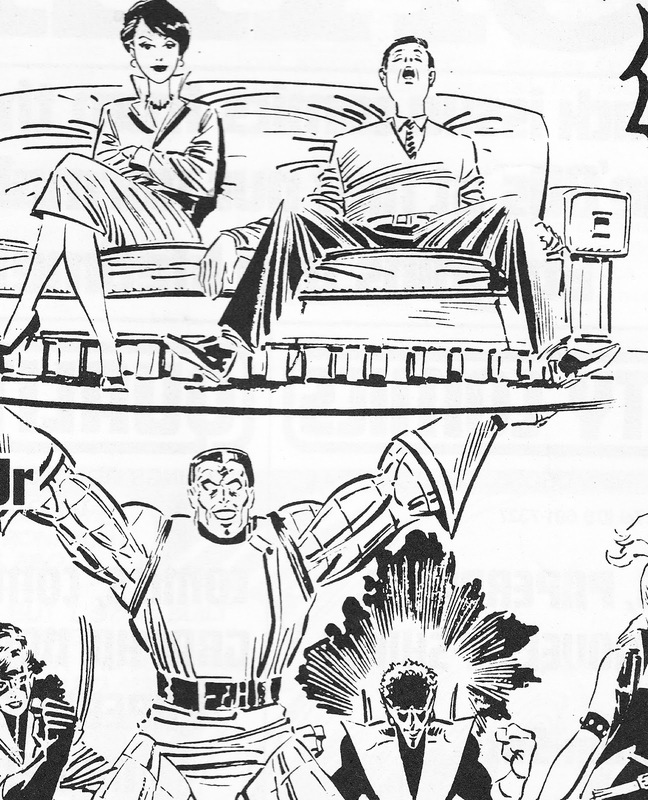 and Romita's original pencils. The draw took place at the Westminster Central Hall Comic Mart in December 1985. Quite what happened to the art after that is lost to the mists of time. But, UK fanzine SPEAKESY did include it on the cover of one of their (undated) 1985 editions to accompany an interview with the X-creatives. Presumably the art was loaned for the cover before it found a new home. I've done a You Tube search to see if I can find the original TV-am footage but it doesn't appear to have been uploaded anywhere. TV-am itself lost its franchise in the 1991 auction (along with fellow ITV license holders Thames, TVS and TSW) and ceased broadcasting on 31 December 1992. The TV-am archive, which appears to be fairly comprehensive, was sold-on to the Moving Image Company. They have set up a dedicated TV-am You Tube channel with selected material, although not this particular interview. The TV-am brand has also been sold to journalist Ian White who now operates a website devoted to the company. Marvel Editor-in-Chief Jim Shooter also appeared on TV-am's kids show the WIDE AWAKE CLUB (aka WAC) whilst visiting the UK in October 1985.